MECHANIX WEAR | LIFETIME ACHIEVEMENT TROPHY | THINGERGY INC. In the sport of racing, you won’t find too many awards beyond the drivers, owners and crew chiefs. 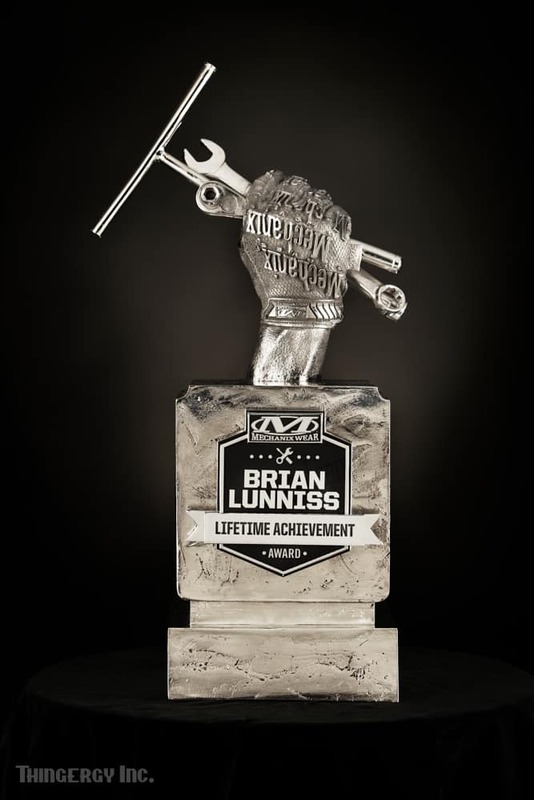 The Brian Lunniss Lifetime Achievement Award is dedicated to the hardest working hands in racing. The unsung hereos of motorsports. Those who possess exceptional drive and inspire the team to win. The Brian Lunniss Award is reserved for motorsport mechanics who demonstrate remarkable achievement during their career.